In fact, it could be right around the corner. Every woman has what it takes to make magic happen in their life. The truth is, most of the time, we tend to be our own biggest obstacle. Don’t you want to get it right? Abundance and true happiness, healthy and fun relationships, a life that feels rich and fulfilling AND a successful career and lifestyle you’re totally thrilled about? create your dream life…with ease! 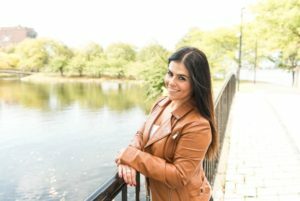 I’m an entrepreneur and licensed psychotherapist, and a multi-passionate coach for women who wish to become unstoppable. I give my clients the skills they need to master their confidence and problem solve through their deepest setbacks so they can create an a life they’re truly thrilled about. As a performance coach, I help business women clarify and conquer the internal barriers to their success and performance in the workplace. I help them stand out in their industry by finding their unique edge and strategy so they can perform at their highest potential in a way that feels genuine and fun. An abundant lifestyle is the norm for my clients and I wouldn’t have it any other way! I know that on the outside it looks like you have it all together, but on the inside the struggle is real. I know that your current situation is defining your truth. You may be allowing certain circumstances to dictate your life, and it feels like you’ll never get ahead. I just can’t have that be your reality…and neither should you! I teach effective strategies that work. Permanently. I am beyond passionate about inspiring and motivating other women to reach their true potential. non-judgmental, supportive manner to overcome their fears and take action. I have a Masters Degree from Boston University and I am a licensed psychotherapist with over a decade of experience in the field. My warm and approachable personality allows my clients to openly express their unique desires and fears without ever feeling embarrassed or judged. I can teach you how to step into your power so you can be the unstoppable women you wish to be. The right support is absolutely vital to your success! To support, empower and teach you how to finally live your best life! – You wish to UPLEVEL YOUR LIFE: Relationships, parenting, business, money, body, self-worth – All Of It! – You want to own your truth, elevate your mind and claim your identity as a powerful woman. – You want to set clear boundaries with people in your life in a way that feels good to you. – You want to raise your vibe for happiness and fulfillment. – You want to release limiting beliefs that keep you stuck so you can thrive on your terms. – You want to step into your power as a leader in all areas of your life. – You wish you could overcome your deepest challenges and obstacles. – You want to learn effective strategies to get out of your own way (and out of your head). You truly want to become UNSTOPPABLE! Everyday, I am blessed to have the incredible opportunity of working with smart, beautiful, inspiring women who long for the right support. Together, we identify realistic goals that are going to get them exactly what they want in their relationships, career, their future – their life! I help my clients change their current circumstances so they can change their lives – for good! Your outer world does not determine your reality. You can change all areas of your life once you decide you are worthy. Imagine where you could be in 3 months?! It’s my goal to inspire as many women as possible. It’s my mission to help women live their most meaningful life. If you want to change your life, this is your time! LIFE, live in abundance and blow your goals out of the water – confidently and unapologetically! • Nine 60-minute Skype or phone sessions. • VIP access to me via email and the Voxer app. • Accountability check-ins to keep you on track for the outcome you desire. • Guidance with overcoming fears that are impeding your happiness, abundance and fulfillment. • Helpful resources to guide you through your success. As a Multi-passionate Coach, I know that one size does not fit all in life, therefore this package is completely customizable. background, dedication, desire, motivation and a wide array of additional factors. therefore no guarantees can be made. ​ you have to do is decide that your life will no longer be You vs. You. Take a stand. Take action. Stop waiting for the “right” time. You deserve the life of you want now.